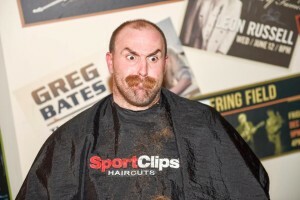 DaBeard is gone, but it was all for an amazing cause. Proceeds from Shear Da Beard each year go to cancer programs at Children’s Hospital of Pittsburgh UPMC. His iconic beard is history, well, at least until it grows back. 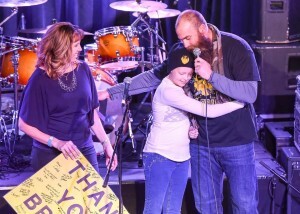 Thursday was a big night for former Pittsburgh Steelers defensive lineman Brett Keisel. His annual Shear Da Beard was held at Jergel’s Rhythm Grille in Warrendale. All of the money raised at the event goes to benefit cancer programs at Children’s Hospital. 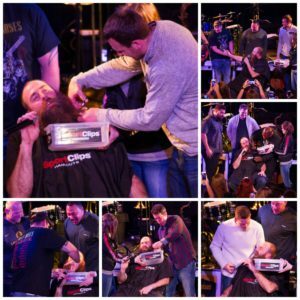 The shearing of Keisel’s beard has become so popular, it’s now an annual event for charity. Keisel says it’s an honor to help the kids who are battling cancer every day. “I have learned so much from them and about strength and fighting and never giving up. You go through those hospitals and you feel it,” Keisel said. If you couldn’t attend the event and would still like to donate, click here! Click on each photo to listen. Thank you to ALL who attended the amazing event! We also wish to thank the following sponsors for making Shear Da Beard possible: Jergel’s Rhythm Grille, SportClips, WDVE, Children’s Hospital UPMC, Eat’n Park, PNC, Gateway Financial, DaBeard Gear and EY.